On Friday, March 10, 2017 IBHOF referee Steve Smoger travels to Tehran, Iran to officiate the WKN Kickboxing World Cup. Steve Smoger aka ‘Double S’ is the WKN referee from Atlantic City, New Jersey, USA, who has been appointed on November 6, 2014. 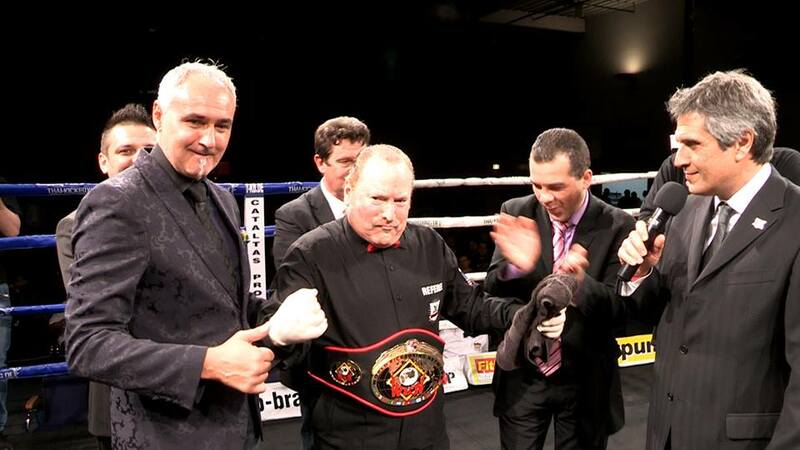 He is the International Boxing Hall of Fame (IBHOF) Referee class 2015 and also the sports celebrity who stars at the Bigger’s Better boxing TV show live on Eurosport. On November 14, 2014 Steve Smoger officiated the Girl Power kickboxing 8 Woman tournament in Liepaja, Latvia. He now heads to Iran to officiate a sensational event – Kickboxing World Cup 2017 – that the country has never seen before. The Gala is held on Friday, March 10 in Iran, Tehran organized by the WKN Iran and Mr Reza Hejazi. The event is the first ever international kickboxing event promoted in Iran that features on the programme over 15 country-participants. Kickboxing World Cup 2017 is the double Kickboxing WGP in two weight classes.